30cm in size and filled with a very plush removable inner cushion. 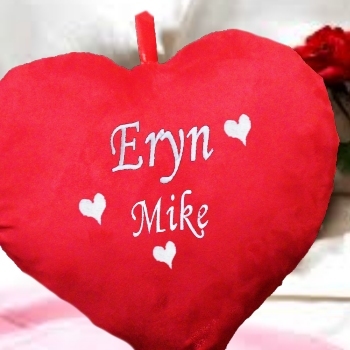 A perfect gift for weddings, anniversaries, engagements and certainly for Valentines day. Unique and useful gift set for home decoration. At Amys Gifts we do all our own embroidery work specially made to order and do our best to get all orders dispatched within 2-3 days.